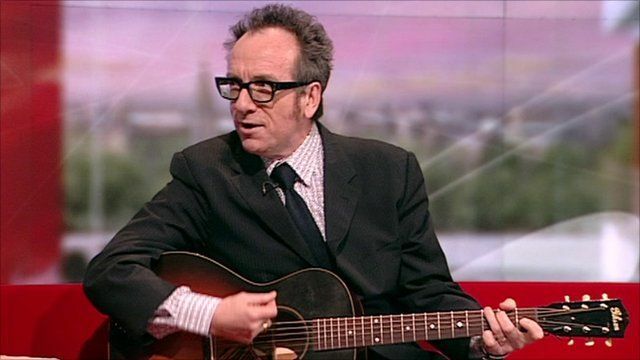 Elvis Costello's international career has spanned four decades and he's collaborated with musicians including Paul McCartney, Tony Bennett and Brian Eno - as well as his wife, the jazz singer Diana Krall. Now he's teamed up with the legendary producer T Bone Burnett on his latest album, National Ransom, which took just eleven days to record. He explains to BBC Breakfast why the traditional album is a thing of the past and gives a special live performance.